I continue here to reflect on Andrew Walls’ presentation at Missio Africanus. Somewhere in his first session, he made a bold suggestion that the process secularisation (possibly that of the West and/or that of the West’s relationship with Africa) was initiated or, at least initially, enhanced by colonialism. When asked to clarify this point, Prof Walls said that Europeans had a choice, either to continue with mission among Africans or to colonise African peoples. Sadly, according to Prof Walls, they chose the latter. Colonialism made more sense — governments, running from Europe would help civilise the Africans while converting them to Christianity and teaching them a better form of trade. Thus the doctrine of the Three C’s — Civilisation, Christianity, and Commerce, generally speaking, justified the colonising of Africa. The trade would, almost always, benefit Europe. To those who had some misgivings, a reminder was often repeated that “there is a lot of money to be made in colonialism.” Unfortunately, the decades between 1890 and 1970 are known for colonialism in Africa, mission is only a backstory. Belgium’s King Leopold’s insatiable quest for colony opened the gates wide for the Scramble for Africa, fulfilling the desires of some who, like David Livingstone, had only wished for Christian colonies overseas as a means to evangelise Africans and to stop slave trade. Of course, Leopold would go on to take the entire Congo to himself as a personal property. Back in Malawi, in my home village at Magomero, the Livingstone family held (and may still hold) some colonial property — a large coffee and tung oil estate. The project started with the coming of the Universities’ Mission to Central Africa (UMCA) to Magomero in 1861 — David Livingstone himself brought them there even though the UMCA’s leader, Bishop Charles McKenzie, was not too keen. As a result, the UMCA stayed at Magomero for two years before retreating to Zanzibar in 1863. The Livingstone family stayed on, acquiring large pieces of land. Soon, Alexander Livingstone Bruce (grandson to David) was in charge of the Magomero Estates. (Until today, locals refer to the remaining parts of the estate as Bruce’s Estate (in vernacular, kwa Bruce). He appointed as the estate manager his cousin, William Jervis Livingstone. Unlike David who spoke of a colony where Christianity was taught, William had no regard for Christianity. He burned churches and schools anywhere near the estate, preventing his servants from going to church or sending their children to school. He forced locals to work on his estate for free — a form of colonial slavery called thangata in Malawi. 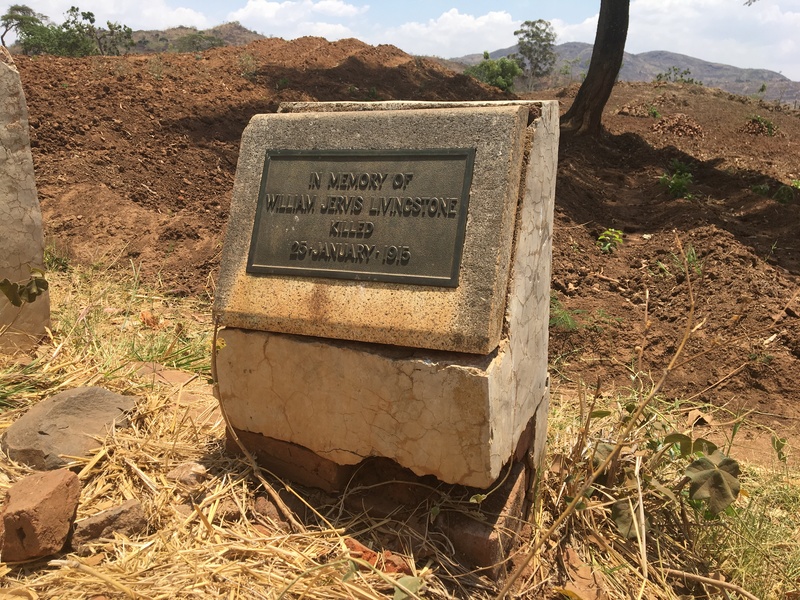 Even today, one hundred years after he dominated Magomero, William Jervis Livingstone is feared as one of the most ruthless colonial masters that ever existed in Malawi. No wonder, in 1915 when people could not stand him anymore, they had an uprising in which only William and his assistant, one Duncan McCormick, were killed at Magomero. Going back to Prof Walls’ talk, European Christians of the nineteenth century chose colonialism believing that they could actually do both simultaneously — to colonise and evangelise Africa at the same time. For some, of course, colonialism was best form of mission. By the 1890s, (thirty years after Livingstone came to Malawi and a few years after the Berlin Conference of 1884-85), the colonial project was in full swing, and with it, the volunteer missionary movement was at its peak. Colonialism and mission seemed to be two sides of one coin. Often, missionaries served as advisors to colonial governments and the colonial governments returned the favour by offering security to the missionaries. They both legitimatised one another. (Reading Adam Hochschild’s King Leopold’s Ghost, I recently learned of one of CMS leaders being involved in the conversations at one time). In such a context, to convert to Christianity was also to let one be colonised (or civilised, as was generally said). Good Christians were not supposed to resist colonialism. Good missionaries were also expected not to resist colonialism. While that connection between mission and colonialism has been effectively criticised in our postcolonial world, I cannot help but think that we still live with its implications. It has played a significant role in the spread of Christianity around the world for centuries. In North America, it created a Christian civilisation after imposing Christianity on native Americans and the enslaved African population. In Latin America, entire civilisations were destroyed in the name of Christianity. It is not going away easily. Mission strategies and practices that depend on colonialism still thrive today. For many of my African friends, that is all they know. Of course, many of them still reserve the title of missionary for the azungu who have come from far. For the people in my home area, missionaries can only be Roman Catholic Fathers. Africans can be evangelists and catechists, but not missionaries. This is, in part, because in their minds, mission needs imperial force in order to be effective. Without that kind of backing, one can only be an evangelist, or anything else that is less than a missionary. This reveals a fault in our theology. Most Africans understand evangelism — to save souls from eternal damnation of hell. Few of them think of mission in holistic ways that include but exceed the saving of souls. Consequently, we have evangelised the continent but have failed to disciple our nations. For my Western friends trying to evangelise in their own Western cities, mission has been for centuries something you do somewhere far away to peoples of other races. For many, the badge of being a Westerner was enough to gain an audience overseas. When that turned around, and Europe becomes the mission field, the question becomes then, “how do we become missionaries to our own race in our own neighbourhoods?” Making matters worse, Europe begins to be understood as a mission field at the time when the church loses its place of influence in Western culture. In such circumstances, colonialism does not help. Actually, it does not work. Yet still, they find it difficult to think of mission apart from colonising ways. Shall the churches find their ways back to mission as it was intended to be — without colonialism? : The word itself means “to help.” But in colonial times, it was a way for colonial farmers to force locals to provide free labour to their estates. Failure to participate in thangata would result in the farmers burning up their villages. Often, the colonial governments intervened by levying new taxes on villages that resisted thangata. : A classic example of this conflict between mission and colonialism is explored in Mongo Beti’s The Poor Christ of Bomba. Many others including Jomo Kenyatta, Ngugi wa Thiong’o, and Chinua Achebe commented on this in their works as well. Thanks, Caroline. You are right, we need to understand the past in order to change our future. I will be sure to read “Dusty Diaries.” Thanks for sharing … and for others interested, I have put the amazon link below.